Danielle’s tumour has almost halved in size!! Danielle has been living with an inoperable tumour for almost 5 years. She was diagnosed with inoperable pancreatic just 4 days after her 24th birthday in August 2012. In September 2013 she was given just a few weeks to live, but against all expectations she has outlived her life expectancy. Recently a second tumour was discovered coming from the peritoneal membrane which was quite big. 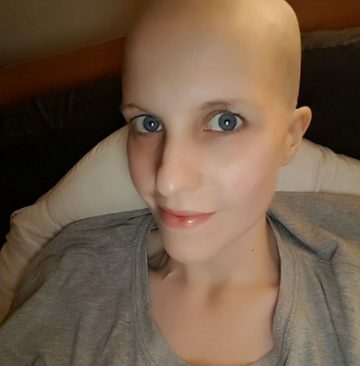 Danielle started a new chemotherapy and in the hope of shrinking the tumour enough for surgery and possibly radiotherapy. 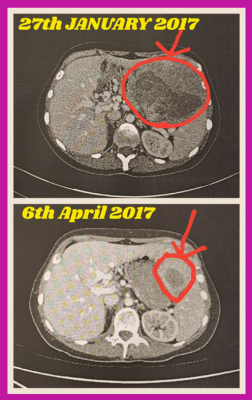 We are so thrilled to hear that after 3 cycles of chemotherapy a CT scan showed that the tumour has almost halved in size! Danielle wanted to share her news in the hope that it will raise people’s spirits and show that there is hope. 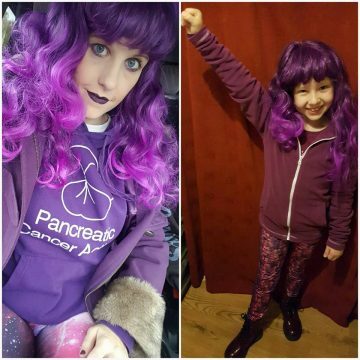 This August she is organising a Birthday/Cancerversary with the help of her daughter Izzy to help raise awareness of pancreatic cancer. Danielle and her daughter Izzy Turning It Purple in Awareness Month 2016!